Elimination and assimilation are two basic needs for natural health. If the elimination organs are not functioning perfectly, the body soon becomes choked with waste backing up into all the vital organs. This hinders assimilation of vital nutrients and can lead to life-threatening conditions. In most people, this is a slow process, in which the toxins build up over a period of years to produce arthritis, ulcers, cancer, diabetes, hypertension, heart attacks, strokes and many other debilitating diseases. Many people experience only headaches or a sluggish, tired feeling as warning symptoms for months or years before the final breakdown. Before the use of refined flours, sugars, pasteurized milk, cheese and highly processed and greasy foods, elimination was not the problem that it has become. A normal, healthy colon is found in very few people today. Instead, most colons have abnormal pockets, bulges, twists and crooks that harbor impacted, cement-like waste deposits adhering to the colon walls which serve as a home for parasites and harmful bacteria. The intestines are muscles, with nerves that normally trigger peristaltic contractions when the colon is full. Putrefaction makes the colon become stagnant and weak, but if we fill the intestines with water, it causes these muscles and nerves to contract so elimination can happen. The more enemas and colonics we take, the stronger and livelier the intestines will become. An arm or leg that is not exercised will become flabby and weak. The same holds true for the colon. It is dependent upon exercise and cleanliness. Colon irrigation is the natural way to supply both. The greatest immediate colon detoxifier is a correctly administered colonic. Second to that is the enema, which can be done at home. A colonic should always be administered by a well-trained colon hydro therapist. The therapist should be present in the room for the entire colonic and a client should never be left alone with a machine to administer their own colonic. A colonic therapist is able to gently massage areas of the feet, legs and abdomen, which will stimulate the colon to release and let go of even the most impacted waste. A colonic therapist is also trained to be able to recognize what is being released from the colon and can advise about fungus, mold, yeast, parasites or mucous. This is very important, because you need to know what is coming out of the body to know if additional help is needed in the way of herbs or specific foods to assist in the detoxification process. One colonic is helpful, but a series of colonics is usually the most effective way to accomplish true colon cleansing. The first colonic begins to loosen the impacted waste so that some of it may be eliminated. With repeated colonics, more waste is eliminated, until you get to the layer of mucoid plaque, which is usually hard and thick. This layer of plaque is formed from eating foods like bread, pasta, cakes and cookies. When you mix flour and water together, you get paste or glue. This glue-like substance sticks to the colon walls and over time, it hardens. Dehydration causes it to become even harder and more difficult to release. Water can help to soften and loosen it so it can be released. Certain herbal remedies, including Colon Assist, Yeast Away and Parasite, can help to rid the colon of impacted waste, worms, parasites, fungus, mold, Candida and yeast. If you have heavy metals to cleanse out of the body, chlorella superfood and Cilantro Supreme herb can assist. Liquid herbs are readily absorbed and work better than pills. 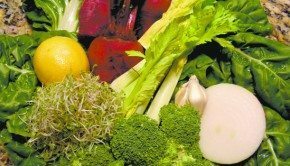 Organic raw and living foods, especially greens, celery, cucumber and wheatgrass juice, can greatly help in the cleansing of the colon and nourish the body at a cellular level. Juice all the ingredients and add the cayenne pepper. Drink the juice throughout the day. 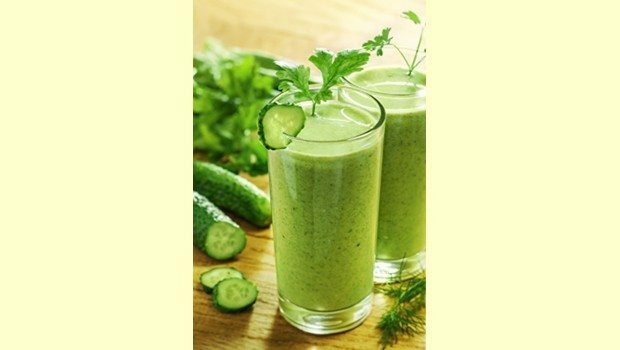 For a deep cleanse, drink this mixture and eliminate all other foods from the diet for three days. After drinking a cup of juice, wait 30 minutes and then drink a cup of alkaline water.